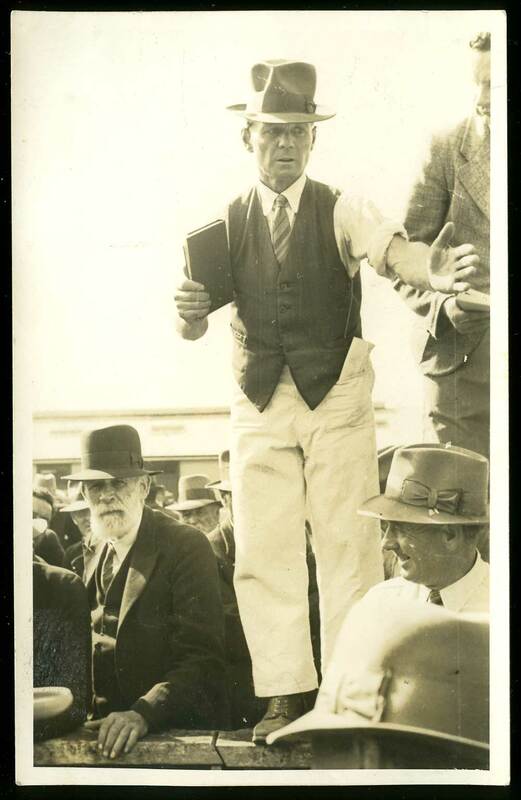 Born at home at Kerrytown on 8th of October 1896, Archie was the third child of David and Ellen Shaw. 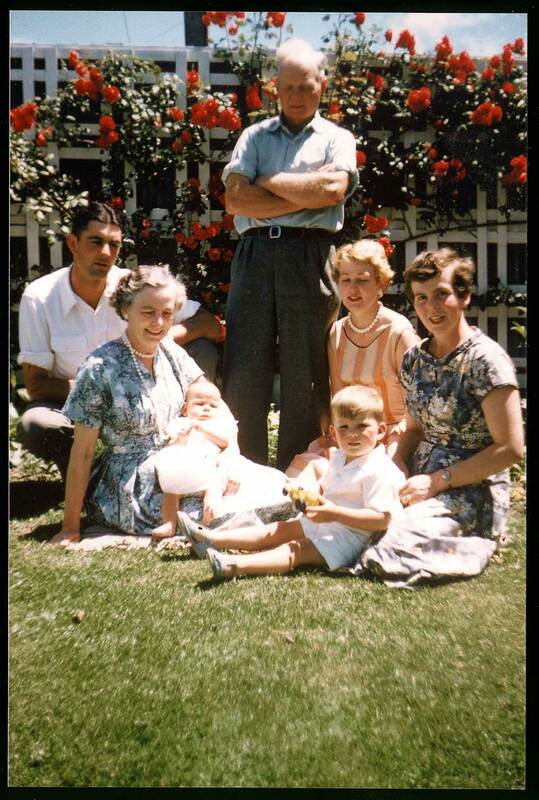 Although Archie was from a predominantly Scottish background, he had an Irish mother. 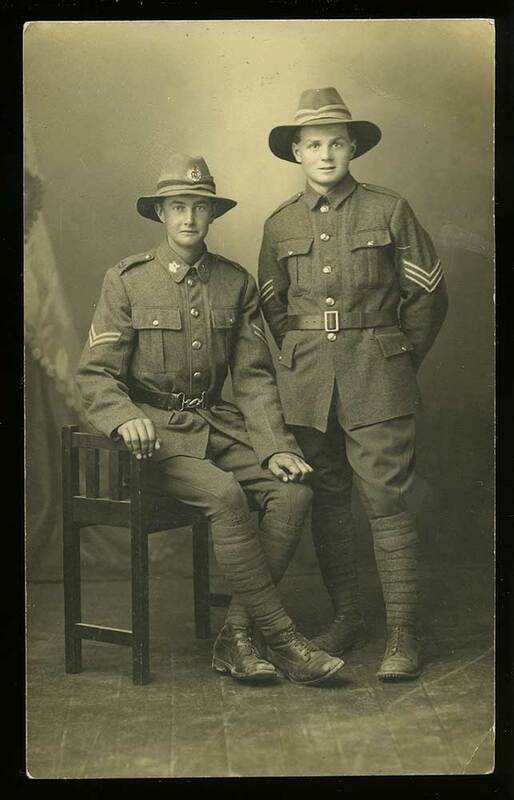 After finishing primary school at Temuka, Archie attended Timaru Boys' High School until a rugby injury in late 1912 prevented him from continuing his education. He had played rugby and cricket for the school and features in the archives of athletics, swimming and shooting. By 1914 the family had moved to Lowcliffe still engaged in farming. 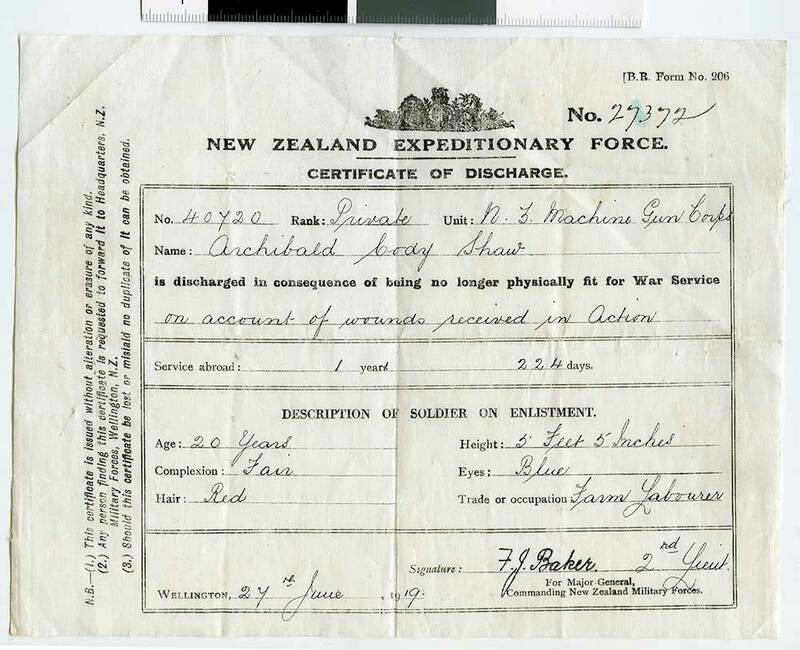 From here Archie enlisted in the New Zealand Expeditionary Force and on 16th November 1916 entered Trentham Military Camp and was drafted to G Company, 23rd Battalion. By March 1917 he had risen to Sergeant and completed his training ready to sail to England via South Africa and Sierra Leone. Docking at Cape Town after ten days of rough seas the troops had five days to recover and explore. When leaving the port they were accompanied by a cruiser The Kent and another ship with African troops, The Euripides. During the rest of the journey four torpedo boats accompanied the troop ship. Coinciding with their berthing at Plymouth on the 20th of May, the New Zealanders saw their first airship. The following day they entrained for Sling Camp near Salisbury. While based at Sling Archie took advantage of leave to visit relatives in Scotland as well as Stonehenge, Loch Lomond, Stirling Castle and other significant places. The call for the draft to leave for France came on 19th October. Landing at Boloyne they travelled by motor lorry to Camiers, near Etaples, where they slept in tents. The following day they had a medical inspection and on the following day there was leave to go to Paris. Most of his diary entries are very humdrum e.g. "Took the mules to be clipped; Carting bricks from Ypres; Rum went missing; Cake and plum pudding arrived from home." The Somme offensive began on 23rd March. Bombardment and gas are mentioned at this stage. Archie was presumed wounded at this onslaught as there are no further diary entries. He was taken to a hospital in France and then to Walton-on-Thames in England. With a shattered leg and thigh bone he was shipped home on 28th August 1918. His name is recorded on the Roll of Honour mounted at the Lowcliffe Hall. 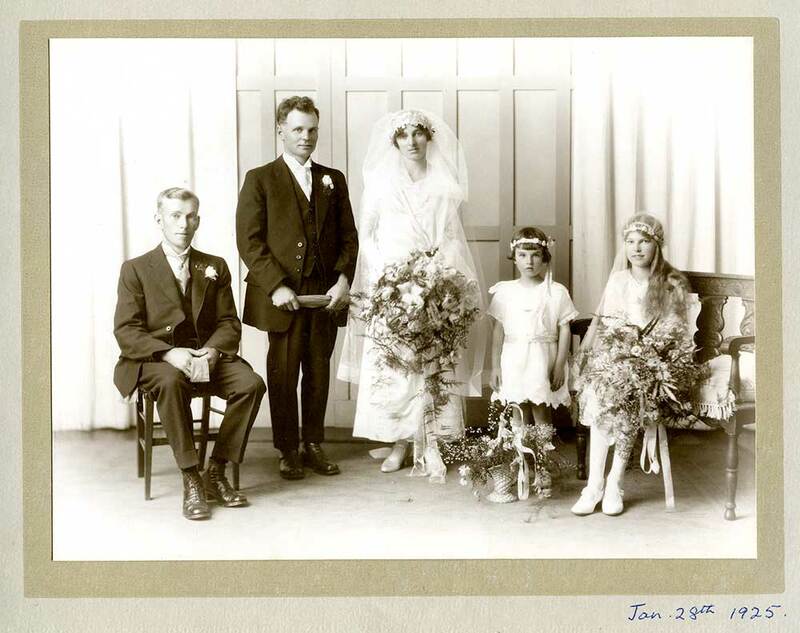 Back in New Zealand he spent many months healing and getting to know Kathleen Bruce whom he married in 1925. 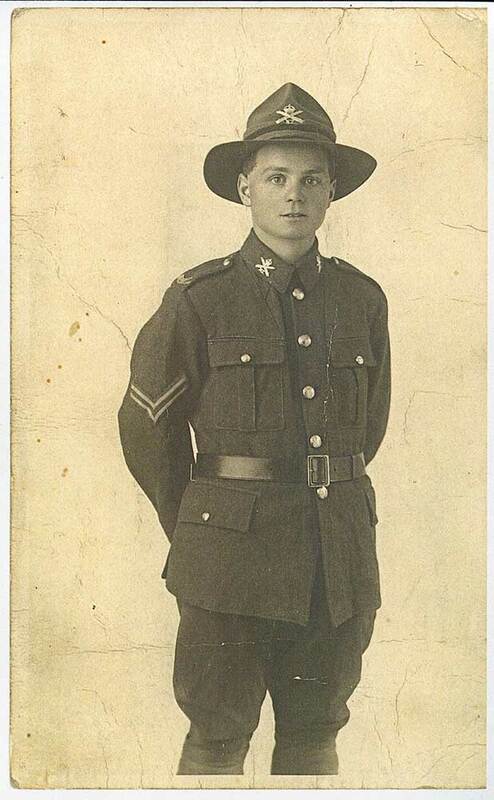 By this time he had a job as stock and station agent with PGG in Ashburton. By 1936 he had two children and promotion to Timaru where he became involved in Church activities, Timaru High School Old Boys and Tennis. In 1939 just at the outbreak of World War II, Archie realised his long held dream and bought a farm at Kerrytown near to where he was born. From here he gave service to the Pleasant Point school committee, Church, Federated Farmers, National party and Home Guard. After 10 years he and Kathleen retired to Timaru where he had more time to give to local affairs. As well as supporting his previous activities, Archie became involved with Catchment Board affairs. Although he was aware that the Opihi River had a history of flooding, little did he think that he would have experienced two major floods during his time at Kerrytown. It is understandable how he became a protagonist to ensure against future flooding. 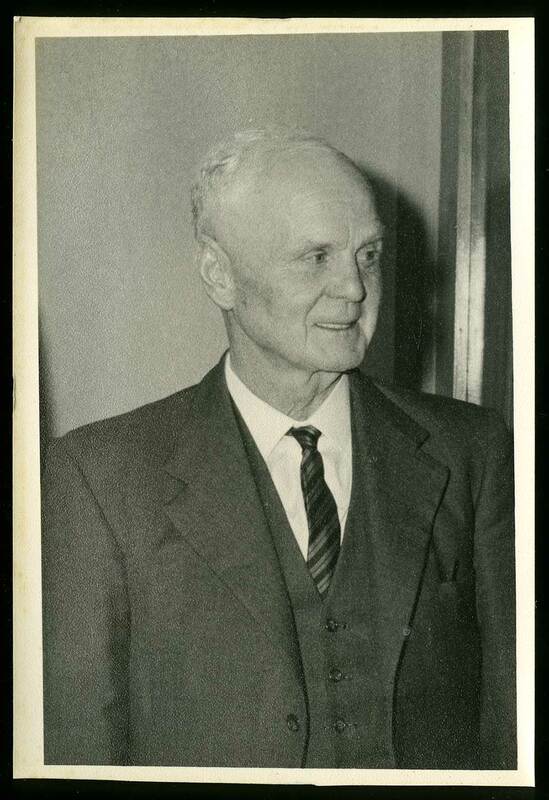 No doubt one of his proudest moments was the opening in March 1965 of the new Catchment Board office in Timaru. Sadly, just a week before he died he had been re-elected unopposed as Chairman of the S.C. Catchment Board. A tribute to him in the Timaru Herald described him as "a man with a sense of purpose, capable administrator who left no stone unturned to promote good public relations between the board and the community it served. His service to his country and the district was well and nobly done."